Amazon is a huge marketplace on the web, and many big as well as individual sellers are finding success with the platform. In only a few years, it has become a trusted name among online shoppers. If you wish to become a top-rated seller on Amazon, the following 5 tips can be assistive for you. Merchants can choose from various account levels on Amazon. There is the regular account level which allows you to list for free your item in the catalog of the website. You do not have to pay any listing fees, and payment is applicable only when a sale is made. The pro merchant account is the second account level which offers greater flexibility. You can list products not in the catalog of Amazon at present. You can get a decent discount of around 0.99 USD for each product. Merchants can get regular reports from Amazon seller central. The reports can assist you in analyzing your sales, finding out potential buyers and determine how effective your promotions and marketing are. 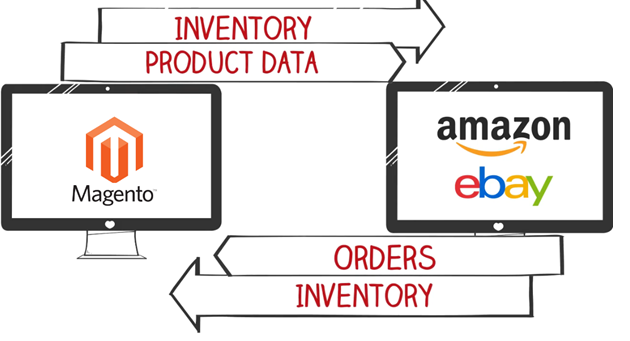 With companies that offer eBay Amazon tool and other similar apps, you can easily get the reports sent to your inbox or reflected on your store. You can also make money from Amazon by using the marketing tools present on Amazon, such as Likes, Tags and Listmania. This will assist you in providing your store items with higher visibility. By turning yourself into a featured merchant over Amazon, you can get your items noticed easily. You can earn the trust of potential buyers and earn good reputation among them. Although there is no official information from Amazon about how sellers can turn themselves into featured merchants, it is assumed that high product sales, amazing customer reviews and minimal or no complaints from buyers helps do that. You also need to stick to all the policies, selling rules and regulations of Amazon in order to avoid being banned. With a Magento Amazon integration service provider, you can easily get your store products integrated with suitable categories from Amazon and be assured of higher visibility. This will assist you in enhancing your product sales. Becoming a big seller on Amazon with large volume of product sales will assist you in becoming a featured seller. This entry was posted in amazon-selling, magento amazon and tagged ebay amazon tool, volusion magento amazon on March 2, 2016 by admin.